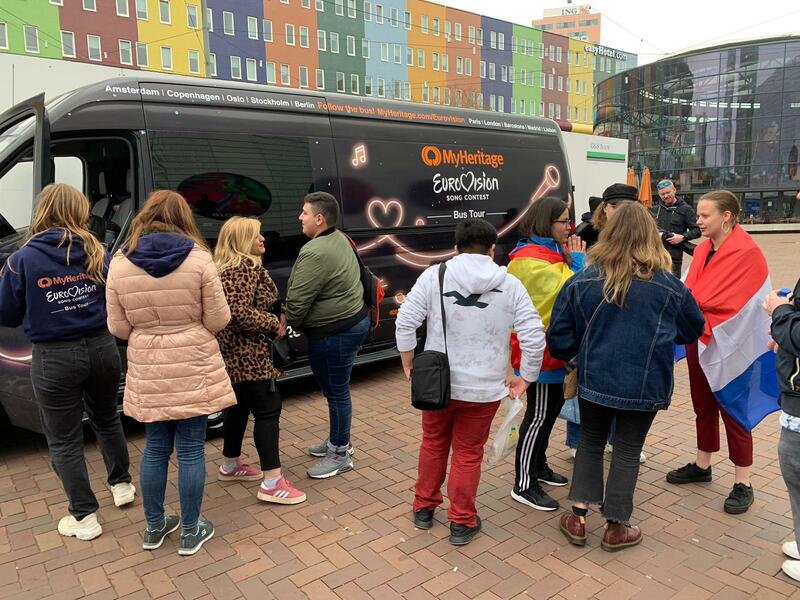 The MyHeritage Eurovision Bus took Amsterdam by storm yesterday on the first leg of its European tour. 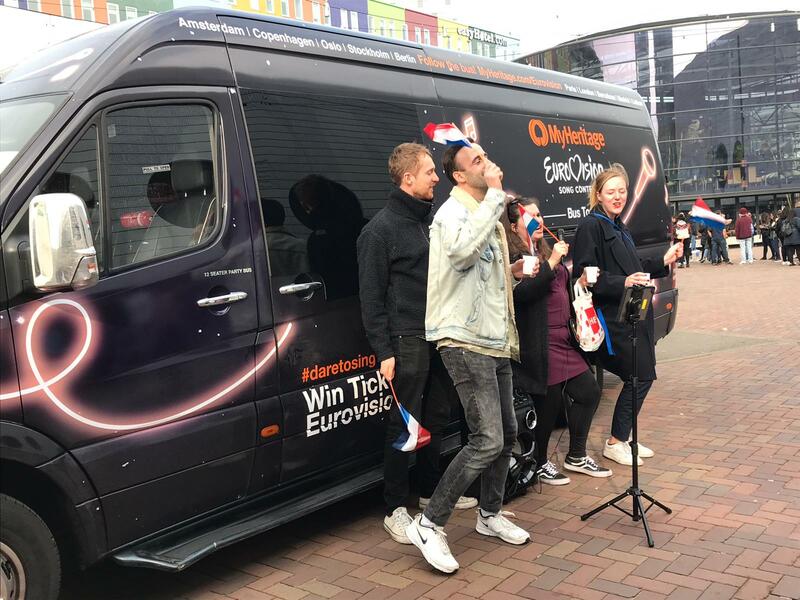 Eurovision fans gathered outside the AFAS Live concert hall in Amsterdam, Netherlands, were very excited to get the opportunity to sing their favorite Eurovision songs in front of an appreciative crowd. Songs performed included classics such as Lena’s Satellite and Eleni Foureira’s Fuego as well as hidden gems from Finland, San Marino, France, and many other countries. We even had a guest appearance by Hungarian Eurovision star Joci Pápai! The bus is continuing its journey around Europe today with a stop in Hamburg, Germany between 12:00–2:00 P.M.
On Monday, you’ll have another chance to shine with your bus karaoke performances in Rådhuspladsen, a public square in the center of Copenhagen, Denmark, located in front of the Copenhagen City Hall between 10:30 A.M. – 4:30 P.M. Eurovision stars Olsen Brothers, Kristen Siggaard and Emmelie De Forest will be stopping by! 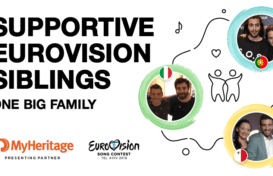 Follow the bus across Europe at www.myheritage.com/eurovision/bus and follow our hashtag #EurovisionBus on Facebook, Twitter, and Instagram.